The board has instructed the schools to not include the two subjects in the present class 10th and class 12th examinations. 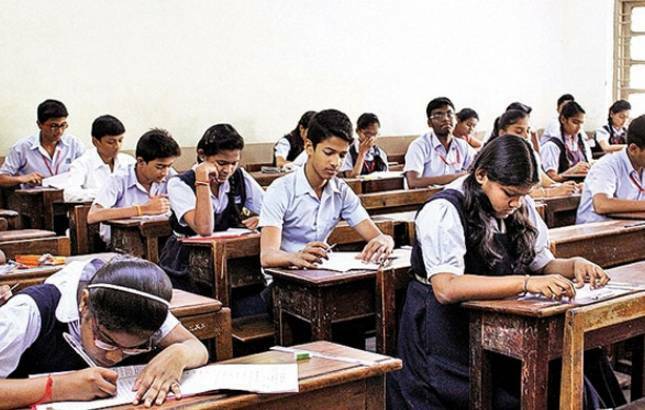 The Central Board of Secondary Education (CBSE) has dropped English Communicative for class 10th and English Elective from class 12th, effective from 2018-19 academic session. As per the CBSE circular released on March 9, a total of six subjects have been discontinued from this year. The board has instructed the schools to not include the two subjects in the present class 10th and class 12th examinations. However, the students who have studied these subjects in their class 9th and 11th will continue to study them. The subjects which have been discontinued from class 9th and subsequently class 10th include English Communicative (Paper code 101), e-Publishing and e-office (Paper code 354 & 454) and Information and Communication Technology (Paper code 166). As for class 11th and subsequently class 12th, the subjects dropped include English Elective (Paper code- 101), Mohiniyattam (Paper code 062) and Multimedia and Web Technology (Paper code 067). CBSE has also introduced some minor changes in the 2018-19 academic session. Sanskrit Communicative (Paper code 122) has been renamed as Sanskrit for class 10th, with the same paper code, as prescribed by NCERT. Another subject, Foundations of Information Technology (Paper code 165) has been renamed to Computer Applications with the same code. It should be noted that the students who are currently in their class 10th and 12th won’t get affected with the changes. The changes are effective for those students who will enter class 10th and 12th in the new academic session. As a matter of fact, these changes will be visible in the class 10th and 12th board exams of March 2020.